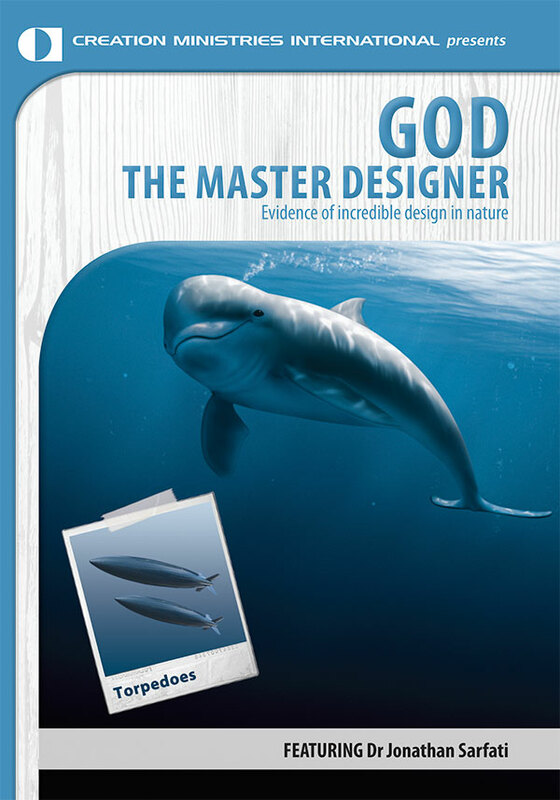 A book review of By Design: Evidence for nature’s Intelligent Designer—the God of the Bible. Before a discussion on any topic can begin, it is important to understand the concept at its basic level. In the first chapter of By Design, Dr Sarfati explains all the basic branches of the design concept that one needs to understand. These include a brief history of design, how we detect design, some design filters and, very importantly, the concept of information, which is a pillar of the design argument. By Design successfully and comprehensively illustrates how engineering principles apply in nature. Despite many evolutionary attacks in the past, the design arguments successfully hold up under close scrutiny. Thus the arguments for design and a Designer are sound, logical and scientific. What made this book so fascinating is that it discusses the practical side and examples of the design concept. In these pages, I, as only a humble student engineer, have marveled at all the various fields and aspects of the engineering sciences that came to my attention while reading through the chapters of By Design. These include: materials science1 (which is an important branch of engineering today), flight and aerodynamics2, navigational systems3, mechanical mechanisms such as highly effective catapult mechanisms4, mechanical motors5, efficient use of energy sources6, and electronic and software engineering (which go hand in hand), and parallels can be drawn from the documentation process of engineering to nature. So it comes as no surprise that a new field of engineering is rapidly emerging, called ‘Biomimetics’, where scientists and engineers are actually learning from nature, to improve current technology. Dr Sarfati understands some engineering principles7 very well, which are important when dealing with certain evolutionary charges against the design concept, as we shall see. It becomes clear how God is indeed the Master of all these engineering fields, which could only make one’s jaw drop in awe. Material science is an important field in engineering, because different materials are needed for different applications in an ever-changing technological world. These can range from polymers (plastics and rubbers) to ceramics (and refractories8) and a whole miscellany of engineering metals, and many more. Chapter 8 of By Design deals with the superiority of materials that we observe in nature. As with human technology, different operating mechanisms in the biological world need different types of materials. What is so astounding is that the materials that we do find fit their purpose so excellently and show high specification (which is itself a hallmark of design). My favourite examples are: the way fibres in the fingernails are arranged in order to prevent the nail from tearing down to the quick; and spider silk, which owes much of its amazing properties to the micro-structures of the fibres. These are much more advanced and complex than man-made fibres. Sponge’s fibre optics, to which one researcher admitted that we humans are in the ‘stone age’ to nature. Resilin, as super rubber found in nature, with properties no other human designed rubber have had before. Even secular material science engineers have realized that there is something very special about bone, and classify it as a ‘smart material’, where such a material is capable of adapting and rebuilding according to the current stresses and needs! Can you imagine any human-made mechanical structure doing that? First prize, however, goes to bone. Even secular materials science engineers9 have realized that there is something very special about bone, and classify it as a “smart material” because it is capable of adapting and rebuilding according to the current stresses and needs! Can you imagine any human made mechanical structure doing that? This indeed confirms that God is a Master in material science. In Chapter 4, Dr Sarfati explains the basic principles of flight in a manner that even the layperson can understand. But the most important aspect of this section is how he refutes evolutionary just-so stories. It is interesting to learn that no amount of random flap-flapping is going to create the needed aerodynamic effects, such as lift and drag, to actually get an animal flying. The only place where it flies is right in the face of evolutionary theory. And not surprisingly, the supposed transitional forms are very problematic. Often these require exactly the opposite effects needed for the end result of a flying animal, and require more faith than anything else to believe it actually happened that way. Dr Sarfati then treats other flyers such as bats, pterosaurs and insects. As for the latter, he again shows how (biological) engineering structures called halteres actually act as gyroscopes (something which engineers use in all kinds of applications), rather than being vestigial remnants of evolution. This is important, because it shows that an evolutionary paradigm can most often make scientists overlook function and information. You and I have all experienced falling. Most of the time, such an experience is something we would rather want to forget about. The acceleration due to gravity here on Earth is about 9.81m/s² and we use a ‘g’ to symbolize it. Humans cannot handle an acceleration of more than 10 times g. Thus it important that manned spacecraft not exceed this acceleration during lift-off. In nature, we find amazing catapult mechanisms with accelerations that defy evolutionary explanation. The chameleon tongue can accelerate at about 50 times g. The mantis shrimp is amazing, being capable of punching with a force well over 100 times its own body weight, and the same limbs which are often responsible for cracking the glass, can accelerate between 6,600 and 10,600 g. And remember that this is in water. But there is even more. The humble bunchberry dogwood plant (something which does not even contain muscles) can shoot its pollen in the air at 2,400 times g, and many of its mechanisms, work only in fractions of milliseconds. The micro organism, Plankton (Vorticella convallaria) can accelerate its spasmoneme up to 10,000 times g! The incredibly high specification of these structures testifies to God as an ingenious Engineer, and not to an accumulation of random accidents. In an evolutionary situation, not only is our watchmaker blind, he is also mindless (and literally ‘stupid’). To believe that these mechanisms had a naturalistic origin, again, would require to me an unreasonable faith, rather than anything scientific. Students of electronic engineering have to learn11 and be quite competent with computer programming, even from their first year. This is because a lot (not all) of electronics would be fairly useless without a set of instructions that controls it and tells it how to work, operate, function and process the feedback information it receives. In short, hardware often needs software to work. The same principle applies in nature. For instance, signal processing takes place in the retinal layers between the ganglion cells and photoreceptors, even before it reaches the brain.12 Electronic engineers are still trying to improve on image processing with the latest flat screen technologies. Also, only a small part of the eye (the fovea), has got high resolution (and there is an important reason for this fovea and saccade system). If your entire retina was such a high resolution area, your brain would need to be 50 times bigger to process this extra information. The actual system is a far more efficient sensory information processing system. This principle of hardware needing software also surfaces when engineers try to make flying robots using optic flow (a highly effective principle used by bees and other insects for navigation and orientation). Not surprisingly, they have discovered that the algorithm in the computer program for this flying process is quite complicated, and needs energy consumptive processors13. Ants … use advanced Calculus (Mathematics) to navigate, but also to find their way back home using a path never travelled before. Again, this is something that is programmed in their tiny little brains. It would be insane to allege that this software could have programmed itself. There are many more examples of this principle, such as ants, which use advanced calculus to navigate, but also to find their way back home using a path never travelled before. Again, this is something that is programmed in their tiny little brains. It would be insane to allege that this software could have programmed itself. Also, intermediates would not be possible. Natural selection would work against ant brains doing that calculus only halfway, or not perfectly, because it would lead the ant astray (that is assuming that any form of such mathematical calculation abilities can just appear via blind mutations in the first place). Software comes from intelligent software programmers. It just shows us that God is indeed a Master electronic and software engineer as well. Few people may realize how important the documentation process in the field of engineering is. One professor at university once told us, that if we had to physically print out all the documentation for let’s say, a Boeing aeroplane, such documents will make out the weight of the plane itself. How literally this statement is true, I don’t know, but it surely carries some weight (pun intended). Does the reader realize what an incredible and infinitely intelligent Mind had to sit behind this unbelievable information storage system, as well as the message itself? Learn how this fascinating system works in By Design chapter 11, where Dr Sarfati also uses his expertise as a chemist to refute origin of life theories. Chapter 12 refutes the tired old ‘junk DNA’ argument, with many excellent references to even secular papers, but also common sense. Chapter 12 in By Design treats some very important subjects. One of them is general principles to consider in a design. This is really nicely set out in an analogy with World War II tanks. For instance, one feature of a design cannot be over-optimized at cost of another,16 and the overall design has to be considered when giving attention, or even criticizing a particular feature. This is quite relevant, because evolutionists often makes frivolous objections for ‘poor design’, but failing to see the ‘bigger picture’, where the entity is actually well designed. Examples of these include the eye’s backwards wiring (and after By Design was published, some further breakthroughs have been made, enforcing creationists arguments even further—see Backwardly wired retina “an optimal structure” : New eye discovery further demolishes Dawkins), the prostate gland in males and its position, and even spine design. Despite many claims, God is no idiot, and in this section it becomes clear why. God is ahead of our often naïve human thought. It is interesting to realize that many of the authors discussing their new found designs in nature do not have an evolutionary explanation for how these structures could have evolved. They simply give blind homage to Darwin in many cases. But for the few cases which some explanations do exist, Dr Sarfati is upfront with refuting such evolutionary hypotheses scientifically. Why then, do so many ‘evangelical Christians’, refuse to consider the design explanation? They are not scientific objections, but philosophical and teleological objections about what a designer supposedly would or would not do. All these objections squarely ignore the Genesis account for the Fall, which is ultimately responsible for the cruelties we find in nature, and many other bad things. It is also responsible for genuine imperfections. I argue that this is what makes Dr Sarfati’s book unique, in that it actually addresses these objections both scientifically, as well as theologically in chapters 12 and 13 called; “What about ‘poorly designed’ things?” and “Why are there bad things in nature?”. 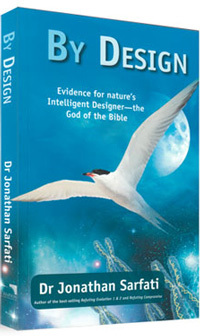 The fact that Dr. Sarfati actually identifies the designer, enables him to successfully refute these objections, and shows how nature makes sense in light of the biblical model. By reading works like By Design, it becomes overtly clear that even today it is reasonable and rational to believe in the God of the Bible. By reading works like By Design, it becomes overtly clear that even today it is reasonable and rational to believe in the God of the Bible. Whilst many might mistakenly think that science has disproven God, nothing can be further from the truth. Furthermore, many of the so called ‘New Atheists’ equate God to a silly entity like a Spaghetti Monster, alleging that to believe in God, is as irrational as believing that such a creature exists. However, it should become clear to the reader that this analogy is quite false. The Christian God is better equated to a Divine Engineer, of which the evidence is abundant in nature. Saying that we cannot observe God in a test-tube would hardly be an objection to His existence. For one thing, 99% of us have never seen the engineer that designed the computer screen at which this review is read, the car that we use, or even an electrical motor that we might find in some remote place on Earth. Yet they exist, and we can deduce it safely from their handiwork and products. As I read through the pages of By Design, there were two main thoughts that kept on crossing my mind. The first is, that our God is an awesome God, and an incredible Engineer, who posses unthinkable wisdom. 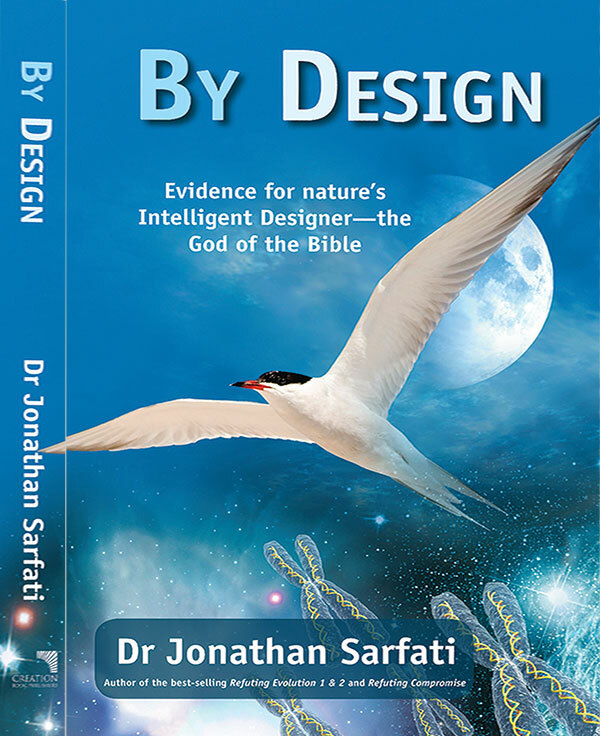 The second is that Dr Jonathan Sarfati really knows what he is talking about, when he so comprehensively explains to his readers the astounding designs that we find in nature. I found By Design a fascinating little volume, which is nothing less than encyclopedic on the subject of the design concept. It is my hope that this book becomes a classic in history for many who have read, and will read it. See Chapter 8 of By Design Return to text. See Chapter 4 of By Design Return to text. See Chapter 5 of By Design Return to text. See Chapter 6 of By Design Return to text. See Chapter 10 of By Design Return to text. Aspects of this surface in both Chapter 9 as well as Chapter 4 on ‘Bird Flight’ Return to text. See Chapter 12 of By Design Return to text. In this context, a refractory is a material that is very resistant to heat and high temperatures, and are often designed for applications in this regard. We get both ceramics, as well as certain metals, which we classify as refractories in material science. Return to text. See various sections of the book of Smith W., & Hashemi J., Foundations of Material Science and Engineering, McGraw-Hill (Publishers). Return to text. I confess however, not owning a lot of expertise on aerodynamics and fluid dynamics yet, as these are quite advanced (and I am not finished with my course yet). Just fluid dynamics alone often works with (differential) equations that could not be solved by normal methods, but only numerical methods. Return to text. At my own university, first year students of electrical as well as electronic engineering, has to learn the difficult language of C. Further programming modules may even follow later, depending on which direction they choose to go in as they progress. Return to text. See By Design p. 27-28 for more information on this. Return to text. See By Design p. 83 to 85 for details on this. Return to text. However, we know from practical experience that random mutations and misspellings do not increase the information in a straight forward message. Return to text. Sanford J.C., Genetic Entropy & the Mystery of the Genome, Third Edition 2008, FMS Publications p. 131 Return to text. See By Design p. 193 Return to text. Quotes taken from: ”evolution.” Encyclopædia Britannica from Encyclopædia Britannica 2007 Ultimate Reference Suite. (2010). (CD-ROM Version) Return to text.